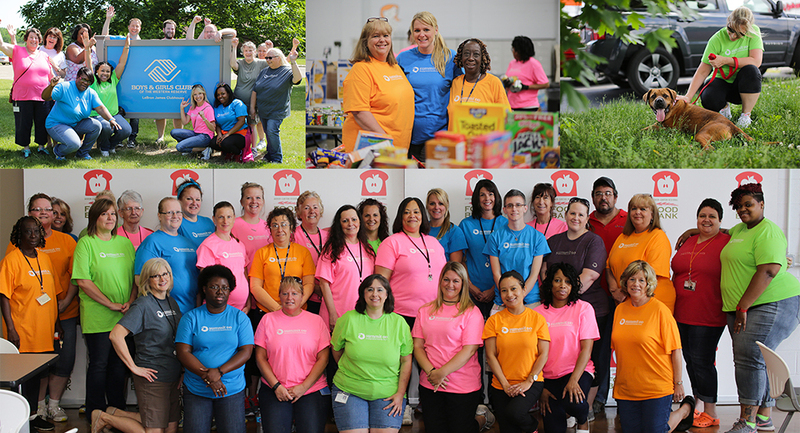 (Tallmadge, Ohio) – On June 6th the Summit County Developmental Disabilities Board, or Summit DD, participated in their inaugural Community Give Back Day. 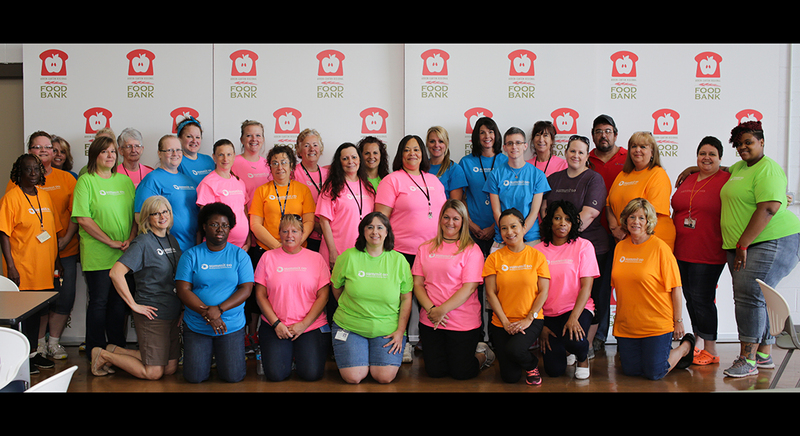 More than 120 Summit DD staff members volunteered at several local organizations including, the Boys & Girls Club, Hattie’s Gardens, One of A Kind Pet Rescue, and the Akron-Canton Regional Foodbank. This initiative is part of Summit DD’s strategic direction to build inclusive communities. 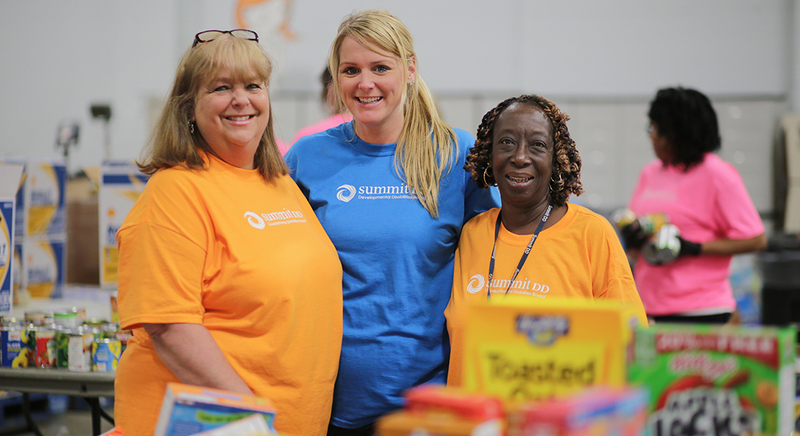 The Agency’s Board launched a new policy in 2016 giving all full-time staff an entire paid volunteer day to give back to the Summit County community. “Summit DD is committed to being a good corporate citizen by partnering with local, regional and national organizations. 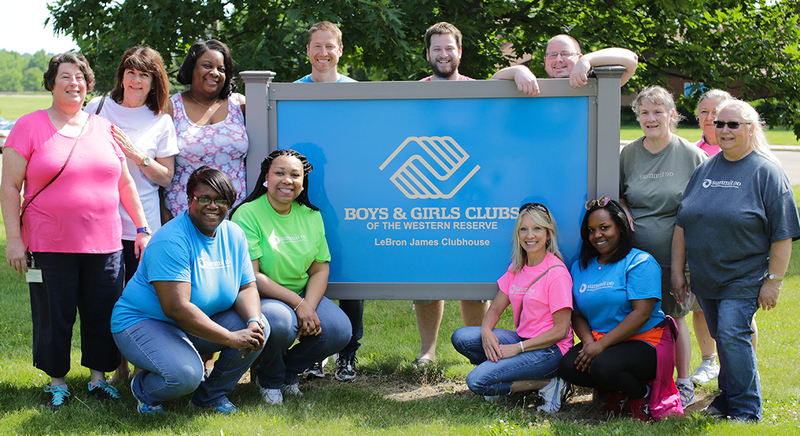 Our staff is driven to be active members in the Summit County community. I’m very proud of their willingness to give back,” shared Summit DD Superintendent, John Trunk. 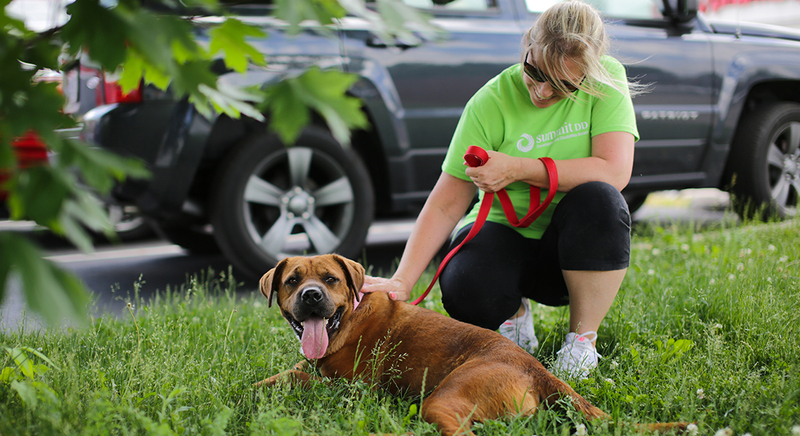 “It’s really great for such a large group to come out to three of our locations. Their efforts will help us be prepared for the summer kids,” commented James Warner II, the Director at the Boys & Girls LeBron James Club. 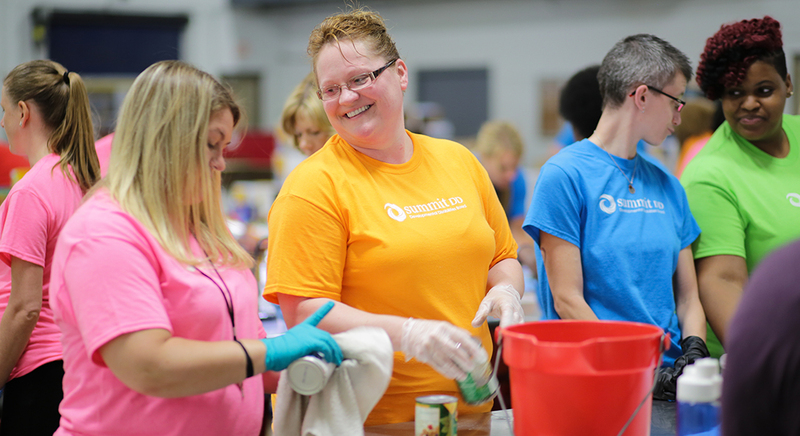 The Agency plans to make the Community Give Back Day an annual affair, as well as continuing to participate in other Summit County initiatives including, the United Way Day of Action, Green & Clean, Foodbank Food Drives and more.